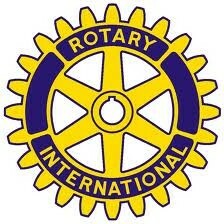 May our acts as Rotarians demonstrate our gratitude for our blessings. For friendship, for health, for work, for opportunities to gather together, enjoy a meal, and change our community for the better. (c) Shawn Bird 2011 Free use with Rotary. Please credit Shawn when you share this in your club; as well, please leave a comment to let us know your club and when you intend to use it. With thanks. Service happens in laughter and friendship. Service happens in quiet conviction. Service happens with firm intention. to all humanity in attention.